The transition to college life can be unsettling one. Moving into the dorms, meeting new friends and having fresh experiences can be tons of fun but can also be very stressful. Luckily with a little preparation and foresight, during the summer months, you won’t have to worry about little annoyances ruining the shift to college living. Preparing for life on your own is a big change. It may seem daunting to you, but with minimal organization and a little less procrastination than usual you can have a jump start in your social and academic life. First off, don’t be lazy. Sure procrastination for many is a viable solution in a more personalized high school setting. On the other hand, even if you have been organized and on top of your game throughout high school, now is not the time to stop this beneficial behavior. Mom won’t be around to remind you of deadlines and cutoff dates, so constantly be aware of what needs to be done. Keep a constant list, on a dry erase board or calendar, of all upcoming deadlines. This will be your school’s main way of contacting you. Set it up early so that you don’t miss anything helpful updates. When you got accepted, I am sure you were too ecstatic to give any of the university literature a good read through. Subsequently you probably just threw all further information into a pile with your acceptance letter. Look at it. Even though it might seem far away, soon enough you’ll be living on your own. The info in these pamphlets ranges from, online placement tests for math and language to due dates for roommate requests or financial aid forms. Regardless, many colleges do not maintain the same policies for current students as they do for incoming freshman. For this reason, it benefits you to complete all these things prior to your arrival. Often times, a few minutes before you have stepped foot in a classroom can save you from having to take an extra semester of Spanish, Math or in the case of financial aid a few thousand dollars. If you already have picked a roommate then you can skip this step. But as nice as moving in with someone you know is, it often can have the unfortunate side-effect of restricting your social growth. Then again moving into a room with a completely random person can be a game of chance. To help weigh the odds in your favor, fill out the online survey that most schools supply prior to housing and roommate requests. Fill it out honestly! If you lie, then the match won’t work. Still, don’t be nervous about giving yourself a little extra praise in the tidiness category. There are worse things than having a roommate who is neater than you. 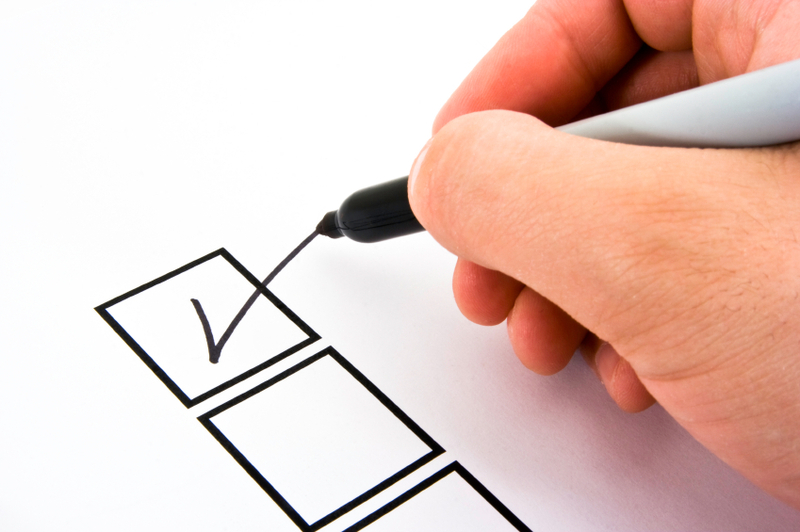 Make your own checklist of things you need. Separate it into Bedding, Bathroom, Kitchen (if your dorm room is lucky enough to have one), Food and Accessories. Also Don’t forget a TV, sound system and your video games. To get started, make sure you check our lists of what to bring to college and have a look at the Dorm Store. Once you’re there, you’re there. Get your books early or online. Set your room up in an organized and neat way. Don’t fuss if you forget something or need something, you’re in college now. Enjoy the new experiences, keep in touch with family but make sure to expand your horizons and meet people from different places and backgrounds. Make friends, learn, and don’t be afraid to explore the new physical and mental world around you. Got some other suggestions? Leave them in the comments!